Spring New Year - Nowruz - celebrated on 21 March, is Central Asia's biggest festival. Families and neighbours come together for the festivities, that last several days. This article, written by Danil Usmanov, was originally published by Eurasianet on 22 March and is republished with permission. 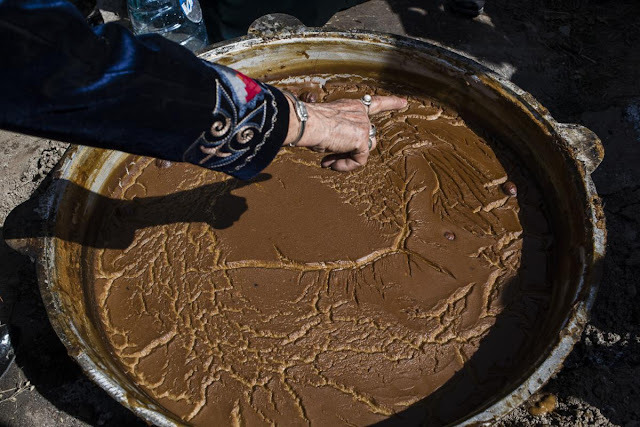 Sumalak, the gooey germinated wheat-based treat made to mark the spring equinox festival of Nowruz across Central Asia, is more than food. It is an institution whose preparation is freighted with ceremony. This year, people were invited from around Kyrgyzstan to attend a sumalak-cooking marathon in the Lenin district of Bishkek. 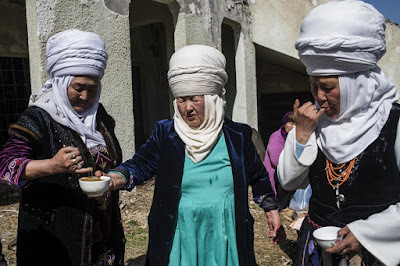 Groups arrived on March 20 at the venue, set in an crumbling ethnographic park intended to serve as a center dedicated to the study of the national Manas epic poem. Yurts were erected and holes dug up for the placement of kazan, the cauldrons in which the sumalak is prepared. and a wish be made. The only basic ingredients are water and germinated wheat, which is grown to a few inches in height in the days and weeks before the festival. Tradition states that only those pure of heart are able to grow the plant properly. 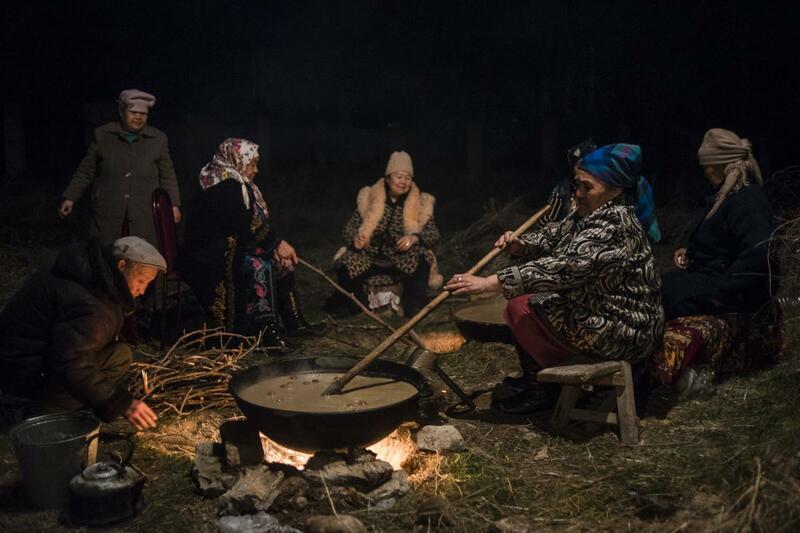 Cooking proceeded through the night, as passages of the Manas were read out aloud and musicians sang folk songs to the accompaniment of accordions and komuz, the national string instrument. 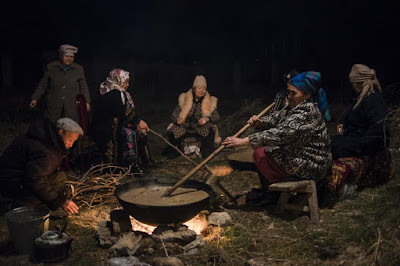 In the morning, when the sumalak was done, elderly women divined fortunes on the surface of the sticky brew. People lined up with bottles to claim their share of the sweet grain treat. The rest of the day was reserved for musical performances. can be predicated by reading the surface of the finished dish.